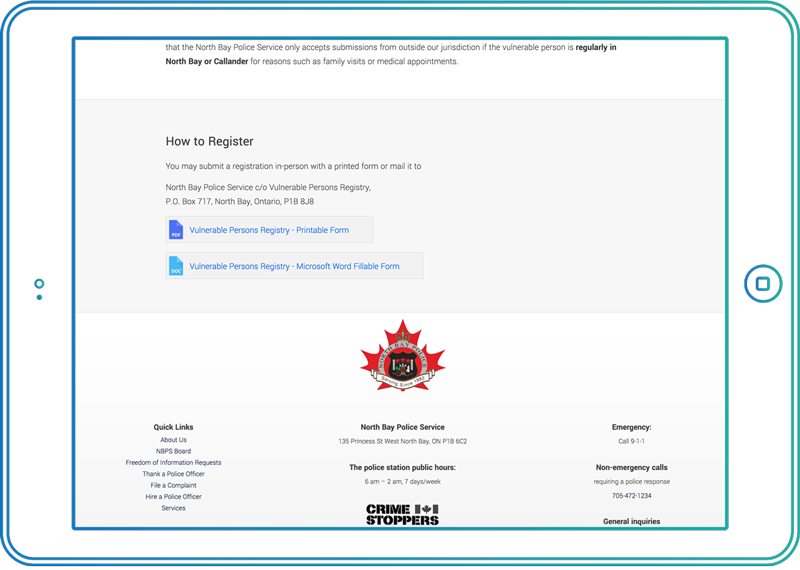 North Bay Police Service was concerned with providing easily accessible (intuitive) forms and securing data. 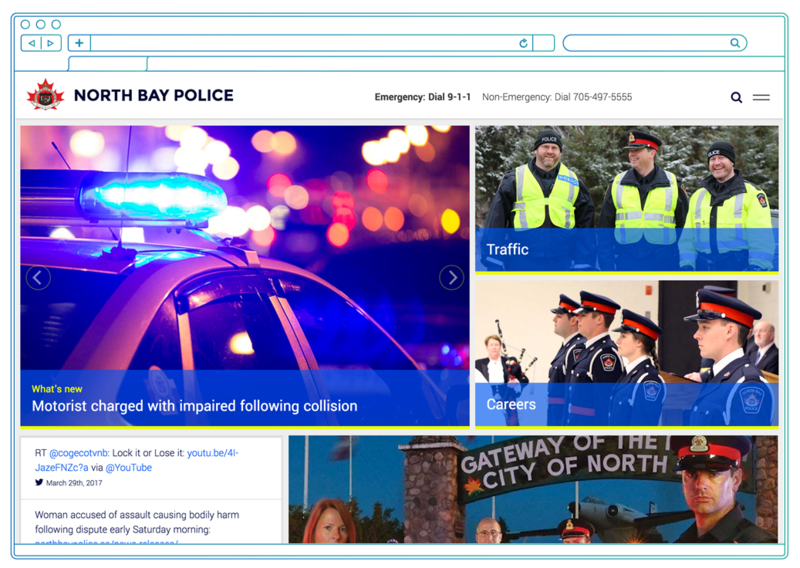 The North Bay Police Service website, designed by 9 Lives Design and developed by Knack Digital, was built with security as high priority without compromising design and usability. Knowledgeable, keen, and kwick! Knack Digital is a professional, hard-working and enthusiastic web development team. In partnership with 9 Lives Design, Knack recently built and launched the North Bay Police Service’s new mobile-responsible website, on time and on budget. It is a pleasure to work with this young, local and talented new business. The North Bay Police Service needed the ability to add news releases multiple times a day. Knack Digital provided them with a simple to use content management system, where you can easily add an article, automatically format uploaded images and feature it on the home page all in one simple location. Since the North Bay Police does not hold data relating to these release, we build a script to automatically delete the content after a specified time period has passed. The North Bay Police website was built to meet WCAG 2.0 Level AA Accessibility Standard. The CMS encourages the client to upload and manage content in an accessible way, so the public can locate and read the information on the website and easily download and complete forms and paperwork. A clean navigation is consistent on both mobile and desktop and styles and transitions function seamlessly across all devices.